Those of us who have cats know that they really rule the home, and we all make an effort to ensure our cats are comfortable, but some cat lovers do seem to take it just a little further! 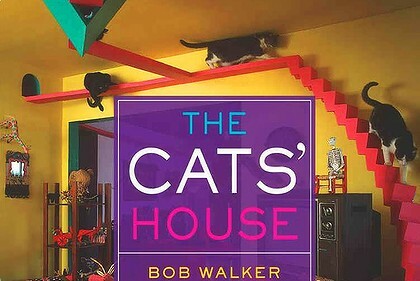 In the book, Bob Walker explains how he transformed his home into pussycat paradise. 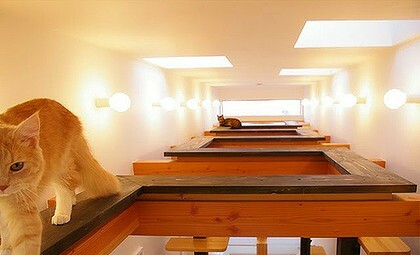 Walker built steps and ramps that wind up and around rooms and there are holes in many walls for his fur family to duck between rooms; they even have access to the roof space above his ceilings. For more great photos of Walker's creation, visit his website The Cat's House . And its not just happening in North American houses. 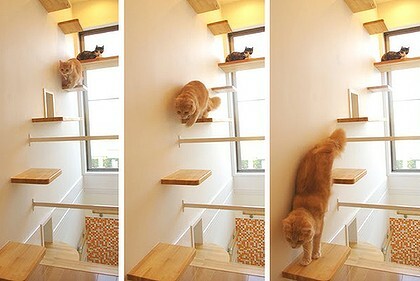 There are also some brilliant examples from Japan. Even if you're not willing to redesign your house to suit your cat there is lots of fabulous cat furniture with pet-friendly features can be attractive and tastefully integrated into your home. 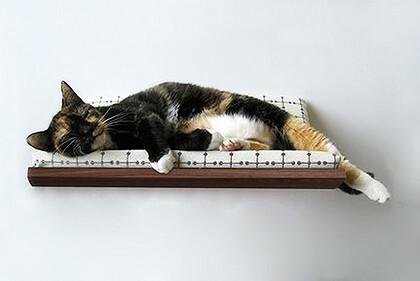 American designer Akemi Tanaka has created a stylish way of allowing your cat to display itself among your other artworks with a wall mounted, soft badded display shelf called "the Curve". Scratching posts and "cat house" hidey holes have moved from kitsch eyesores to the status of real furniture. 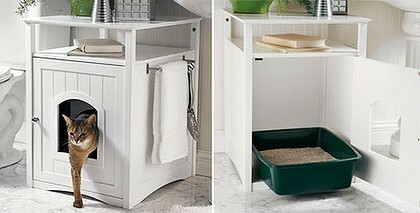 Take this stylish Kitty Washroom design for the bathroom. And there are even descrete litter boxes for the living areas. 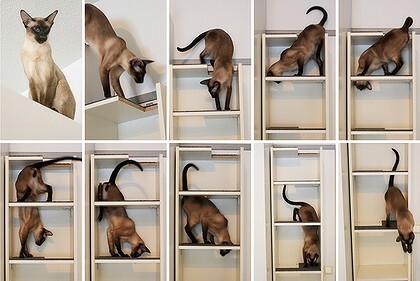 If you can't find a purpose-built litter tray disguise or an attractive cat climber, try an "Ikea hack". 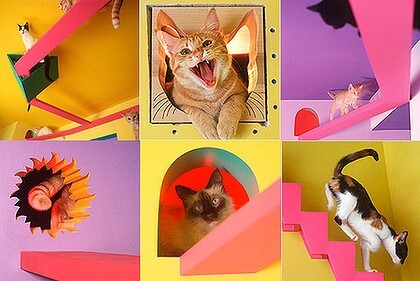 The Ikea Hackers website is filled with brilliant ways to make Ikea products more cat friendly. 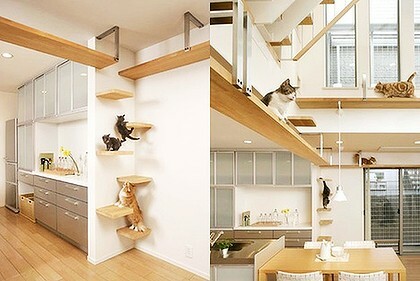 Modifications include ideas for wall-mounted perches and furniture for climbing, scratching and (of course) attending to bathroom needs. Next week .... designer houses for dogs. Awesome pics of creative cat-centric designs. Nice article that you have shared here about the cat home designs.Your article is very useful for those who are looking to buy cat products online. Keep sharing these types of the informative article here.